We got a grill pan for the stove that doubles as a grill on one side, and a flat top on the other for pizza or other foods. I got my first chance to use the grill side with this lamb recipe, which turned out delicious! The sauce was so simple, but tasty. 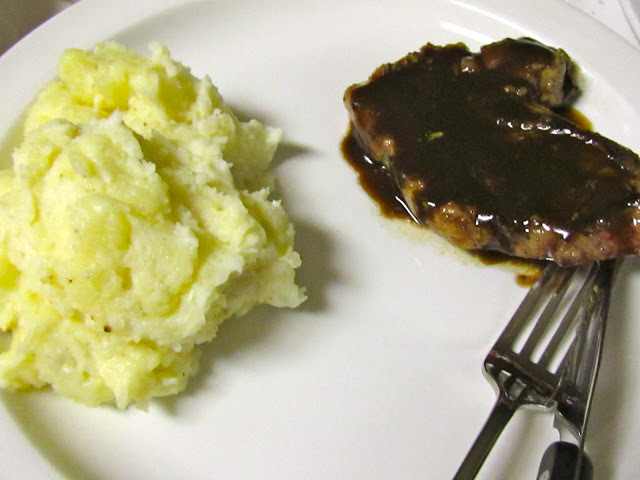 I served this with some roasted garlic mashed potatoes, which were a bit undercooked, but still flavorful. Here's the recipe adapted from Giada at Home. 1. 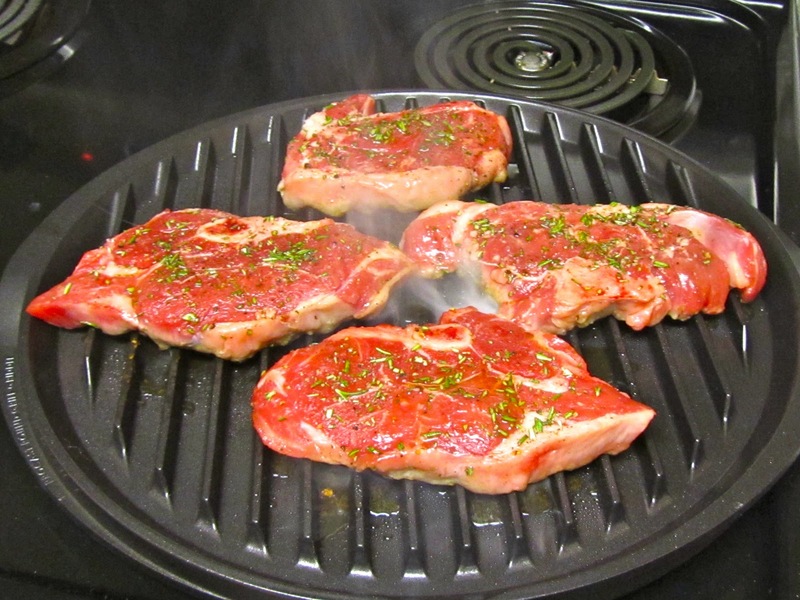 Place a grill pan over medium-high heat or preheat a gas or charcoal grill. 2. In the bowl of a food processor, combine the balsamic vinegar, garlic, and honey. Pulse until blended. With the machine running, slowly pour in the vegetable oil until the mixture is smooth and forms a thick sauce. Season with salt and pepper, to taste. 3. Season the lamb chops with salt and pepper. 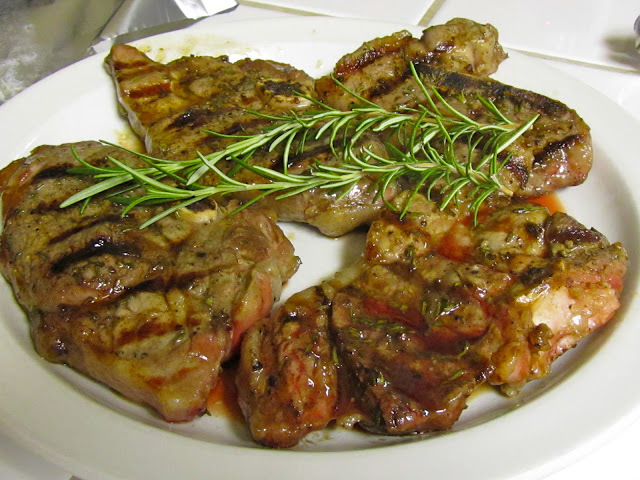 Drizzle with the olive oil and sprinkle with rosemary. 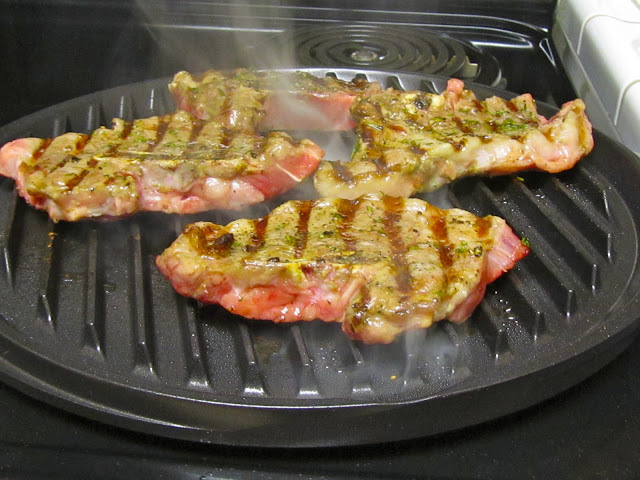 Grill the lamb chops for 5 to 7 minutes each side until medium-rare (less if you're lamb chops are thinner). 4. Arrange the lamb chops on a platter. Spoon the sauce over the top or serve the sauce on the side. 2. Cut off the top of the garlic, place in tin foil. Drizzle with olive oil, season with salt. Crimp foil so it makes a pouch around the garlic. Cook in oven for 45 min - 1 hour. Let cool. 3. Cook potatoes until fork tender in boiling water over medium-high heat. Drain and place potatoes back in pot. 4. Add the milk and butter. Mash until almost all lumps are gone. Squeeze the garlic out, and add to potatoes. Season with salt and pepper. 5. 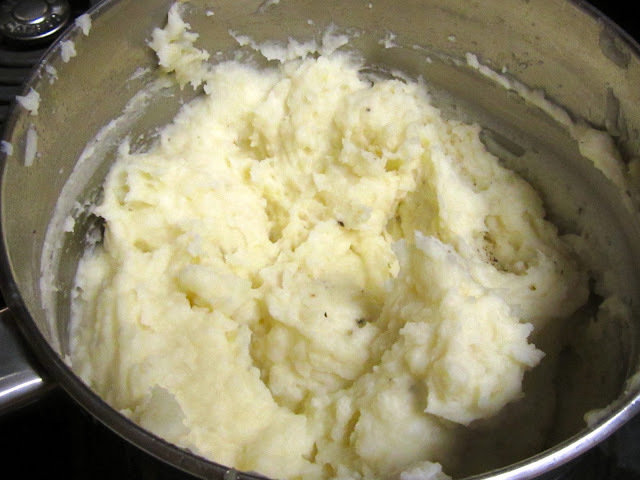 Use a hand mixer to whip the potatoes until fluffy and light. Serve.